Petzl created a series of bouldering pads that are dressed to impress. The pads come standard with an astounding amount of features. Perhaps the only complaint could be that they have so many features you might not know what to do with them all. To see the plethora of features demonstrated first-hand, watch our video above with Petzl Marketing Director Justin Roth. Want to geek out on more gear videos? Subscribe to our Vimeo and YouTube channels to see all the newest gear. Petzl’s crash pads debut as a series of three. The smallest, the Nimbo, is designed for sit starts, covering a seam between two larger pads, or using as a shield. It doesn’t fold and it will be 30 x 20 x 1″. The Alto has a traditional size. It has standard pad dimensions of 46 x 39 x 4″ (folded: 26 x 39 x 10″) and rumor is it’ll cost around $280. The larger highball (or solo boulderer) pad, the Cirro, is sized at 58 x 46 x 5″ (folded: 30 x 46 x 14″). 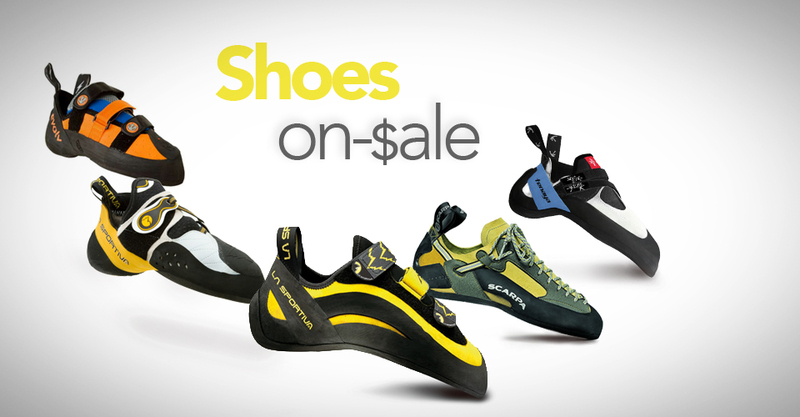 Petzl’s goal is to have it under $400 when it’s released in July 2014. Other than size, the Alto and Cirro have all the same features. Problem: Loosing items out the bottom of the pad. Solution: A zipper closure around the side and bottom of the crashpad renders it completely closed on three sides. Problem: Backpack straps get wet and dirty from sitting on the ground. Solution: A water resistant flap system that covers and keeps the straps off the ground. With this design, you’ll also be falling on the backpack straps as they’re now on the top of the open pad, but covered by the flap. Fortunately, there’s no plastic or metal buckles on the straps, so when you fall onto them there’s no risk of landing on something hard. Problem: Uncomfortable and unstable carry, especially stuffed full of gear. Solution: Super wide padded straps with adjustable velcro closure. The sturdy strap system was also designed to prevent the pad from unwelcome movement that could throw off your center of balance. Problem: Taco fold damages the protective closed-cell foam layers due to repeated (and long-term) compression. Solution: The closed cell foam is on the outside of the taco fold, enabling a longer lifespan. Additionally: Petzl labs found that two different densities of closed cell foam layers fused together distribute the weight more efficiently and increase the shock absorption versus one layer of closed cell foam of the same overall thickness. 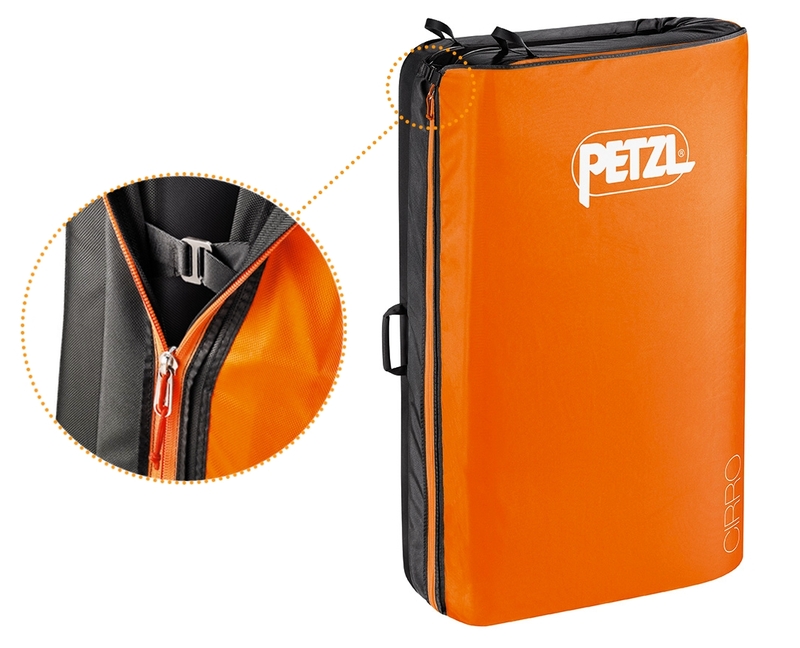 Added Feature: Petzl also added a versatile shoulder strap. Since the opening/closing of the Petzl pad is a little more involved, the shoulder strap will help out for quick boulder-to-boulder movements. Another perk of this strap is that it also makes it really easy to convert your pad into a camp chair. It’s fun to note that all the Petzl pads are named after clouds, which leaves me envisioning soft falls and comfortable sleeps. As an engineer, I was most impressed with Petzl’s lab findings of the shock absorption properties testing the combination of different types of foam layers. I wonder how big a difference is made with the two fused closed cell layers versus one, noting that they’re not adding more foam volume. My biggest question is: How durable will the pad be? More specifically, will the velcro straps hold up to the test of time? And what about the zipper closure? Most zippers cease proper function once dirt and mud get jammed between the teeth (and why they went out of style on bouldering pads originally). Since Petzl touts the functionality of saving the backpack straps from the mud with the flap zipper closure, one can assume they’ve put the zippers to the ultimate mud test. Time will tell! It’s obvious Petzl takes pride in their design and wanted to debut their bouldering pads as a stunning case study of meticulous care and research. If all goes as planned, you can pick these pads up at your local shop as early as July, 2014. Can’t wait for the Petzl pads to come out? Compare all the pads currently on the market at www.WeighMyRack.com/boulderingpad. If you’re craving the details of more new climbing gear from all the climbing brands, check out our large post about the new gear coming out for fall 2014, debuted at the Winter Outdoor Retailer show. Original photo’s courtesy of Petzl, modified to showcase details by WeighMyRack. Questions about these pads? Write them in the comments and we’ll get you the answers!